Jesus comes to our rescue! Why? Because he knows the times in which we live in aren't easy. He knows that the world in which we live is caught up in wickedness. That, however, is not the only reality. He gives us great victory through his Cross. No wonder we can greet each other with grace and peace. He purchased them for us. Father, please help me distinguish between good and evil as I confront them daily in my life. Make evil repulsive to me despite the many ways that Satan tries to make it look seductive. 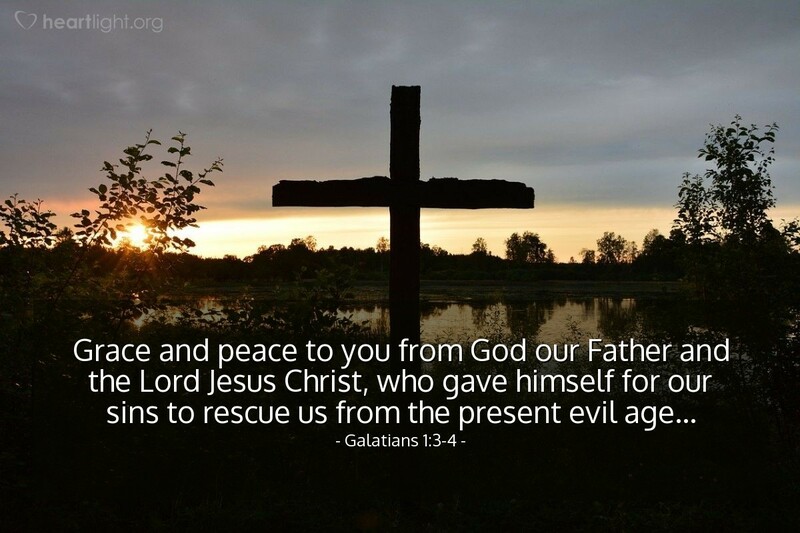 Thank you, Jesus, for coming to my rescue when I was a sinner, unable to save myself. Thank you for sharing your grace and giving me peace. Through the blessed Holy Spirit I offer my thanks and praise in Jesus' name. Amen.